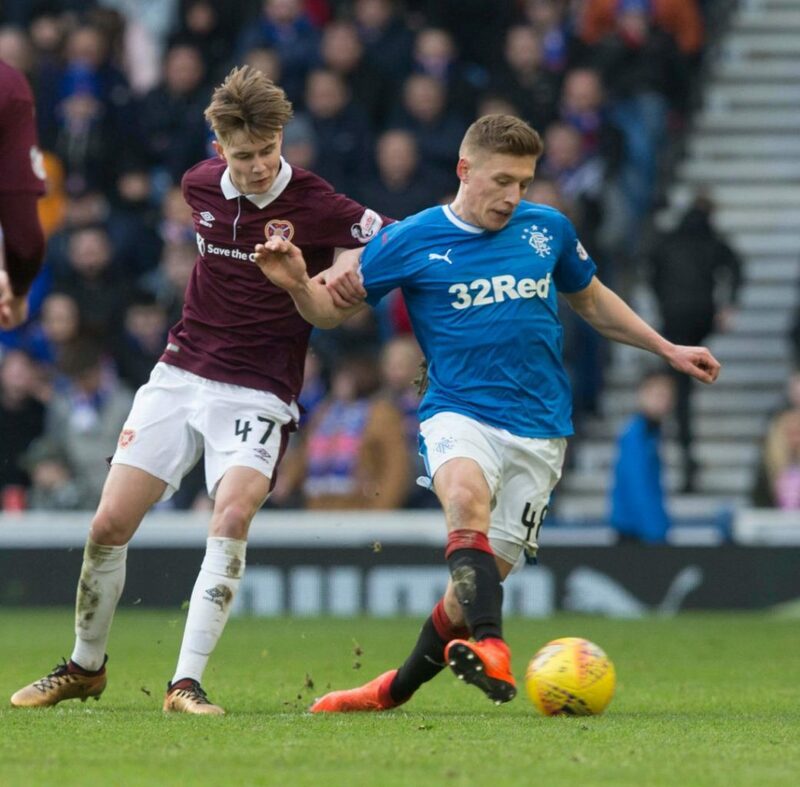 Ibrox Noise: What on earth has happened to Greg Docherty? What on earth has happened to Greg Docherty? If there was one player we fawned over on Ibrox Noise last season, it was young Greg Docherty. The 21-year old was a much-vaunted signing from Hamilton, and Martin Canning refused to let him go cheap – Rangers secured him in the end for a reasonable £650,000 and the defensive midfielder had a fantastic start at Ibrox. He covered mounds of grass, worked like a dog, showed a good range of passing and awareness, while having better pace than we initially gave him credit for. In short, he was living up to the hype about him, and he looked every inch a capable Rangers captain and future Scotland international. All while being a dyed-in-the-wool Rangers fan himself – few knew what it meant to play for us as much as he did, and no one was more broken looking than he at full time of the 2-3 Old Firm. One of the things that had let him flourish was his excellent partnership with Sean Goss. Goss provided the culture, the passing, and the composure, while Docherty stomped around cleaning up. Then the Old Firm happened. After a decent first half it fell apart badly and no one was able to resurrect it. It was Goss who initially was made the scapegoat – being dropped by Murty, fans turned on the QPR man and ditched him as fast as Murty had. Then when Murty put Graham Dorrans besides Docherty, it completely isolated and ruined the anchor man further – instead of a partner who complimented him, he instead found himself doing the work of two men while Dorrans swannied around doing God knows what out of position. Slowly but surely Docherty disappeared, before he was completely cast away into the squad and that ill-fated Hampden cameo was the last we saw of him. To his credit he’s put on a brave face – he’s been prominent in training, and feels he has a point to prove – but the ruthlessness with which he went from a genuine talent and a real Rangers star in the making to a complete nothing who can’t even get on as a sub is genuinely bizarre, not to mention sad. The kid can play. There is no doubt about it. But like Jason Cummings wasn’t, he simply hasn’t had any favour from management since aforementioned cup atrocity. Some fans seem to think he’s a dud. We’re not entirely sure what the grounds for this are as he never let us down, and few will fight for the shirt more. But that a portion of supporters were genuinely delighted that a Fleetwood Town level midfielder was playing ahead of him really was worrying. And that Gerrard seems to agree with them is even more puzzling. The boy Doherty maybe hasn’t quite settled into being a Gers player. He can play, has the physique / fitness but for me needs some coaching. I’ve no doubt at all that both Gmac & SG recognise this and will be giving him all their wisdom of being effective in big games at a big clubs. He can be a big player for us and worth many times more than we paid. Anyone out there who goes to games and knows even a wee bit about the game know he’s not a dud. Those who think he is are at it. He's certainly no dud and has all the makings of being a great Rangers player . Can't understand why he's not been getting a chance in recent times . Hasn't really had a shout since he had the argument with Morelos at the end of the Celtic game where Miller and Wallace were also isolated . Could this be something to do with Murty as well ? Negativity ... it drives me nuts. We have played 3 games. Not conceded. We have scored 8 goals. We progress in Europe and we talk dud. Ffs lets stop and give the guys a chance to gel and bond.The pressure is there from us to over achieve every game. Things will turn better. Well said Stuart, some Rangers fan have a problem when we don't stuff teams, it's win,win or you are no good. We are where we are because of bad choice of managers and players they have bought. S.G.has brought a backroom team he knows well and new players who need to settle in, hire and fire will not get us anywhere, give the guy a chance ,with a bad team last season we only missed out on second place, take a deep breath guys and let the buds bloom. Whilst I agree with your frustration, If you were in Skopje and witnessed that performance having taken days off work, endured the travel & expense I’m pretty sure you would be pretty pissed off at the complete lack of quality from almost all and poor attitude from others. I rate him too and would have expected him to feature more before the end of this season ans at the start of this, For me he offers more than the likes of Candelias and Halliday who seem to be ahead of him in the pecking order. It's still early days and I would expect him to get his chance as the season continues as long as he works hard in training and keeps focussed with a good attitude. I don't think there's a problem other than we have so many options in his position so he he will just have to wait for his opportunity. No mystery, Greg Docherty isn't missing, he was on the bench but didn't get on. We can only play 11 players and our squad is getting bigger with better quality coming in, which means existing players will find it harder to get in the team. This had to happen for obvious reasons. I find it hilarious how fans judgement of players gets clouded the longer they are out the team. Greg has a future, a bright one, but SG is watching him every day and is a better judge than any of us...he will get a slot when SG feels he deserves it. I agree with the article and four four two as I think Greg Docherty will become a very good player for Rangers. I was excited when I saw him play his first few games and thought that this ex-Hamilton guy could come to Ibrox and put on a display that pleased me. Did Graeme Murty get this one wrong as well? My advice to Greg is: Continue to work hard and eventually cream comes to the top. If it turns out that we have much better players than young Greg, then that will be fantastic for Rangers, if not, give this talented lad a proper chance. Personally, I prefer him to Ryan Jack as he has loads more energy and is a goal-scoring threat that Ryan does not have. I put it down to Murty and his weak snivellin shite.He knocked the heart out the boy and Morelos downturn can be traced back to him standing bubbling on the touchline. He'll bounce back,both of them will soon as Stevie gets his ideas across. We've played two competitive games remember. Docherty was playing a different role at Accies too with no pressure on him. He'll be fine. I have commented about fans mentioning players not in Rangers class on numerous occasions in this forum. I have had the fortune to have witnessed the glory days of the 63/64, 75/76 and 77/78 treble winning years plus the fabulous Souness/Smith eras. No current player is anywhere near being ‘Rangers class’ in my opinion, Allan McGregor in his early days would be as near as it gets. Docherty is far from being a key player for us, he has a good engine, but so did Jason Holt, he is strong and has a certain toughness, so has Andy Halliday. Greg has a lot to learn, there are technically better players with more experience at Ibrox, he has to prove and hopefully learn from Gerrard that he is capable of holding down a position in the team and if the opportunity arises show the manager what he can do. I like many fans was impressed by Docherty when he played for Hamilton and he is young enough to improve himself. His attitude seems to be good and from what I hear trains well. Like McCrorie he has to develope and improve maintain high standards and take every chance when it is given. As soon as they become complacent, if they did, then all younger players will disappear from the scene. Typical examples who lots of fans thought would secure first team places who have dropped out the scene are Barjonas and Burt. I am sure Docherty’s time will come, I also hope he remains enthusiastic and secures a respected place in Rangers first team squad. Gerrard sees the guy every single day in training, he gave everyone a clean slate so no matter what happened last year they had the chance to prove they deserve a spot in the team. Yet you are "puzzled" why Gerrard hasnt played him. What could it possibly be?? He has taken an instant dislike to his character? Does he wear green boots in training? Did he call him Stevie G instead of Gaffer on the first day? Or perhaps he just hasnt proved to the manager he is worthy of a game???? Normally I class "negativity" as code for burying heads in sand with a nothing to see here attitude. But this is proper negative, give the new manager a chance. With tough start he needs it. Was not great to watch the crowd in homeleg get on back of players, need support not a hard time. I believe Greg Docherty will, come good. I also believe the boy, Barjonas is a future, potential first team midfielder and lending him out to Partick Thistle will improve the lad, no end. Both are certainly NOT lazy and that is what I personally, despise in players. Lack of effort. Don't get me started on Morelos' sullen and malcontented, displays. These young lads, will come good. Just not, right now. The Boy is No Iniesta but He can Play! And Maybe even Scotland Captain!